The Steyr AUG series is an Austrian licensed series of assault rifles that use the bull-pup configuration, where the buttplate is attached directly to the receiver. 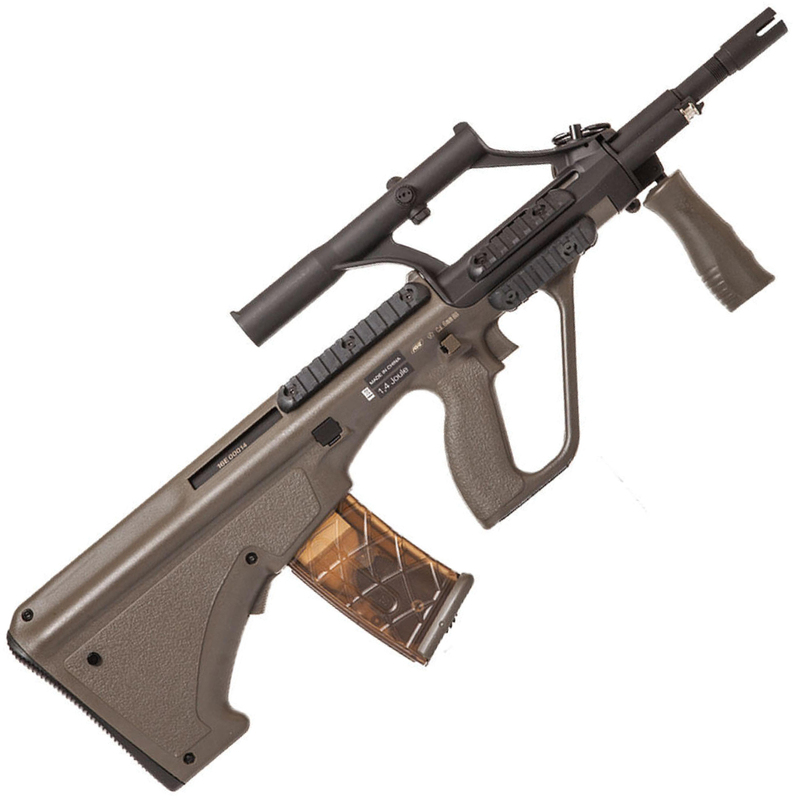 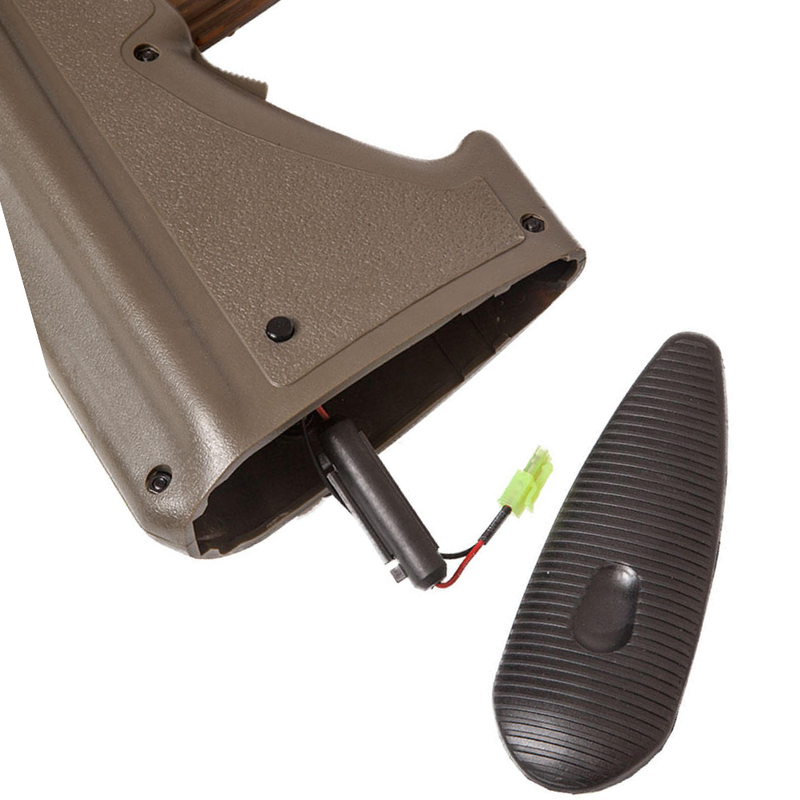 The AUG A1 is a CQB-sized gun, compact and easy to maneuver in the field. 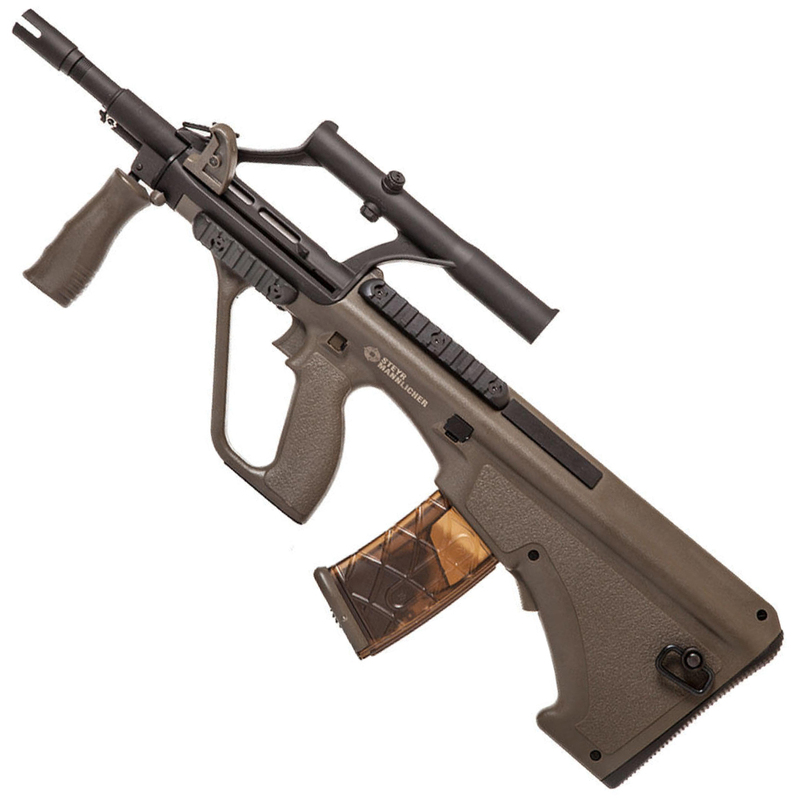 This olive drab-coloured rifle provides camouflage in forest environments. 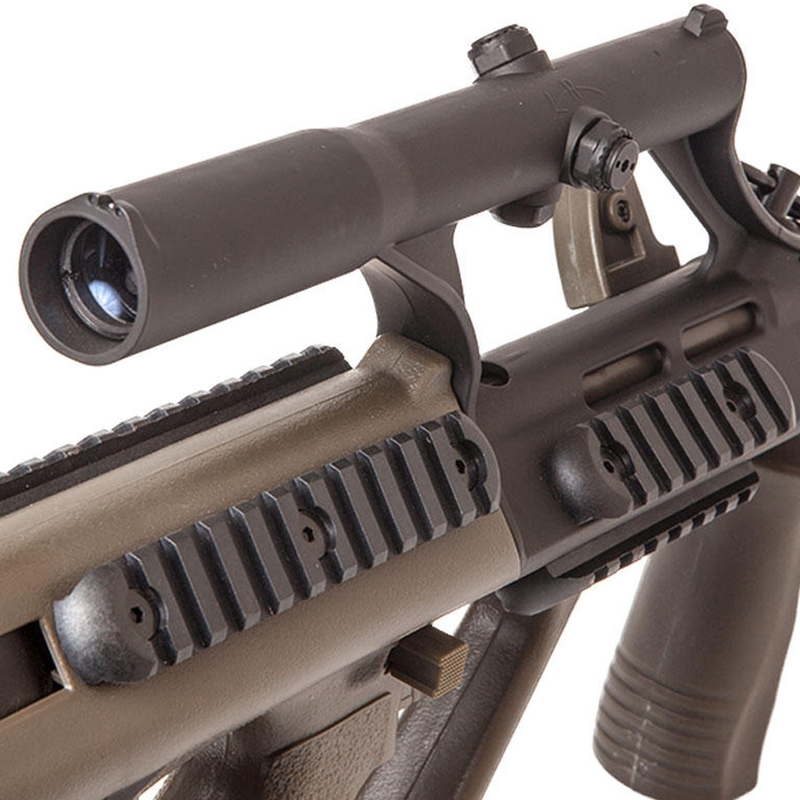 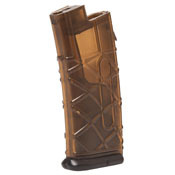 This version of the A1 has a shorter barrel length. Package Includes: ASG PL Steyr AUG A1 Compact OD Airsoft Rifle. Charger and batteries NOT included.